Those concerns for Putin’s mental health were quickly drowned out by matters of high politics—by his bold announcement that he would be coming back for a third term as president, by marred parliamentary elections, and by a wave of unprecedented protests and a resurgence of civic activism. On May 7, against a backdrop of violence, Putin was inaugurated a third time and seemed to fade from public view. No bold pronouncements or policy roadmaps, no shirtless stunts. Until yesterday. 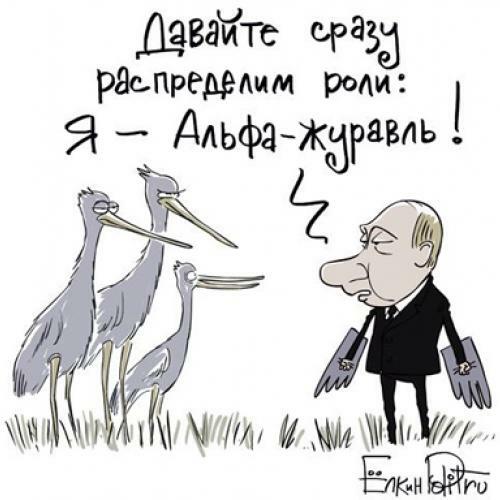 Moscow awoke to news that their president was going to don a white coat, a helmet and a beak, get in a hangglider, and lead a pack of endangered Siberian cranes (Grus leucogeranus), bred in captivity, on a test flight. It’s hard to recall a time when a Putin stunt produced such widespread, hysterical laughter. The Russian-language internet, still the main forum of public discourse, crackled with laughter at the president’s expense. This image, of course, went viral. 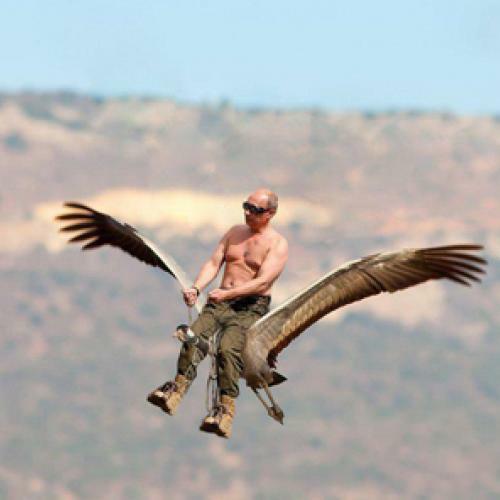 It was proposed for Putin’s next PR stunt. Most of the other jokes are hard to translate or would take too long to explain, but it should tell you something when a major Russian news portal reports on its own staff trying to make up witty limericks about the presidential flight. 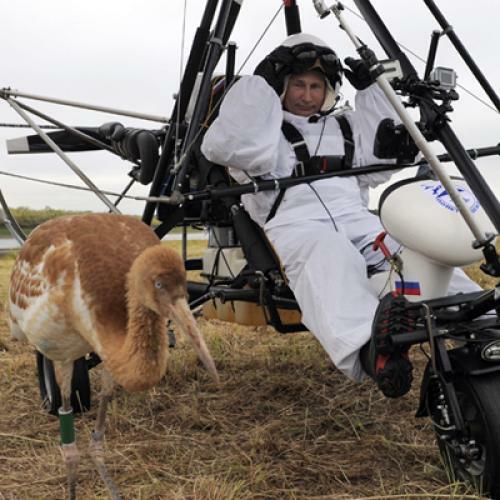 This morning, on his way to the APEC summit in Vladivostock, Putin arrived at the aviary in Yamal, had some tea with the ornithologists, donned a white suit and a helmet. 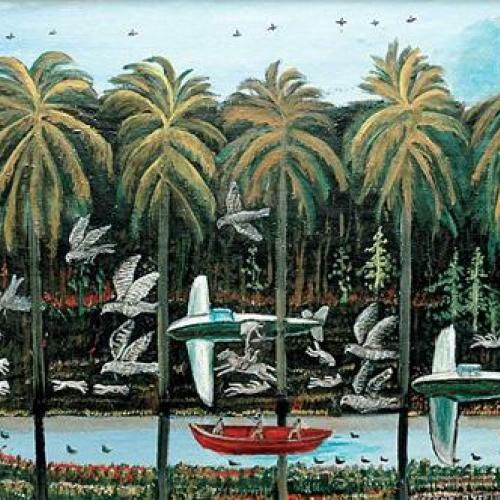 In the end, there was no beak, and the images were quite sedate. There was a strange video of the president sitting, arms folded, and warmly eyeing the cranes to the awkward sound of the creaking hangglider. But the damage had been done. Putin, who is known to think these stunts up himself, was once a man feared and reviled—for his KGB background, for his posh lifestyle, for his vindictive, aggressive style. Now, even as his state turns the screws on the opposition, he is seen as a ridiculous man, deeply out of touch not only with the political reality, but with reality in any wider sense of the word. If it is better to be feared than loved, it is definitely better to feared than laughed at.